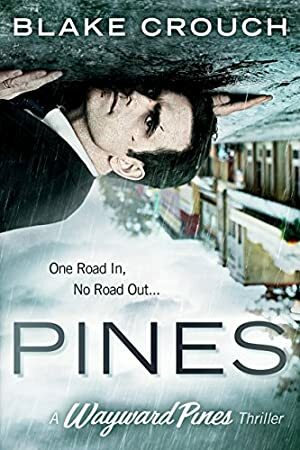 Secret service agent Ethan Burke arrives in Wayward Pines, Idaho, with a clear mission: locate and recover two federal agents who went missing in the bucolic town one month earlier. But within minutes of his arrival, Ethan is involved in a violent accident. He comes to in a hospital, with no ID, no cell phone, and no briefcase. The medical staff seems friendly enough, but something feels... off. As the days pass, Ethan's investigation into the disappearance of his colleagues turns up more questions than answers. Why can't he get any phone calls through to his wife and son in the outside world? Why doesn't anyone believe he is who he says he is? And what is the purpose of the electrified fences surrounding the town? Are they meant to keep the residents in? Or something else out? Each step closer to the truth takes Ethan further from the world he thought he knew, from the man he thought he was, until he must face a horrifying fact -- he may never get out of Wayward Pines alive. Log In to track Blake Crouch on eReaderIQ. to be notified each time the price drops on any book by Blake Crouch. to stop tracking Blake Crouch. We started tracking this book on August 26, 2012. The price of this book has changed 55 times in the past 2,433 days. The current price of this book is £1.00 last checked 9 hours ago. The lowest price to date was £0.99 last reached on October 26, 2018. We last verified the price of this book about 9 hours ago. At that time, the price was £1.00. This price is subject to change. The price displayed on the Amazon.co.uk website at the time of purchase is the price you will pay for this book. Please confirm the price before making any purchases.